A telecommunications network is a collection of terminal nodes, links are connected so as to enable telecommunication between the terminals. The transmission links connect the nodes together. The nodes use circuit switching, message switching or packet switching to pass the signal through the correct links and nodes to reach the correct destination terminal. The data plane (also user plane, bearer plane or forwarding plane) carries the network's users' traffic, the actual payload. The management plane carries the operations and administration traffic required for network management. The management plane is sometimes considered a part of the control plane. 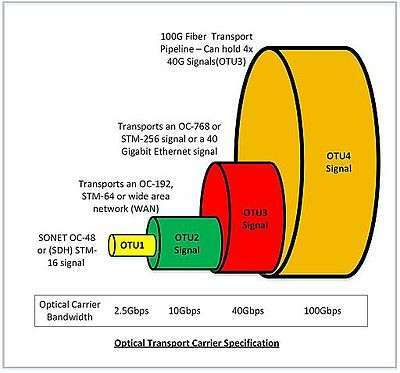 Optical Transport Network (OTN) is a large complex network of server hubs at different locations on ground, connected by Optical fiber cable or optical network carrier, to transport data across different nodes. The server hubs are also known as head-ends, nodes or simply, sites. OTNs are the backbone of Internet Service Providers and are often daisy chained and cross connected to provide network redundancy. Such a setup facilitates uninterrupted services and fail-over capabilities during maintenance windows, equipment failure or in case of accidents. The capacity of a network is mainly dependent on the type of signalling scheme employed on transmitting and receiving end. In the earlier days, a single wavelength light beam was used to transmit data, which limited the bandwidth to the maximum operating frequency of the transmitting and receiving end equipment. With the application of wavelength division multiplexing (WDM), the bandwidth of OTN has risen up to 100Gbit/s (OTU4 Signal), by emitting light beams of different wavelengths. Lately, AT&T, Verizon, and Rogers Communication have been able to employ these 100G "pipes" in their metro network. Large field areas are mostly serviced by 40G pipes (OC192/STM-64). A 40G pipe can carry 40 different channels as a result of Dense Wave Division Multiplexing (DWDM) transmission. Each node in the network is able to access different channels, but is mostly tuned to a few channels. 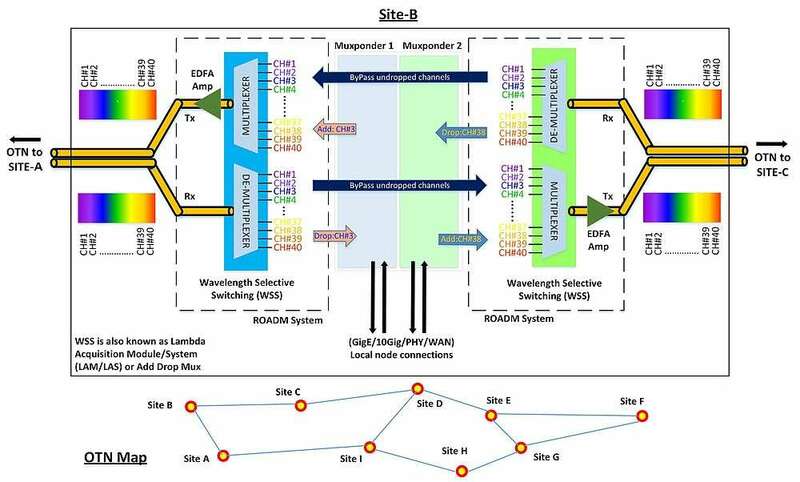 The data from a channel can be dropped to the node or new data can be added to the node using Re-configurable Optic Add Drop Mux (ROADM) that uses Wavelength Selective Switching (WSS) to extract and infuse a configured frequency. This eliminates the need to convert all the channels to electric signals, extract the required channels, and convert the rest back to optical into the OTN. Thus ROADM systems are fast, less expensive and can be configured to access any channel in the OTN pipe. The extracted channels at a site are connected to local devices through muxponder or transponder cards that can split or combine 40G channels to 4x 10G channels or 8x 2.5G channels. 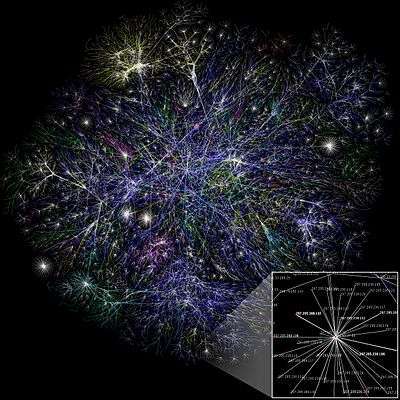 1 2 3 "Metropolitan Area Network (MAN)". Erg.abdn.ac.uk. Retrieved 2013-06-15.